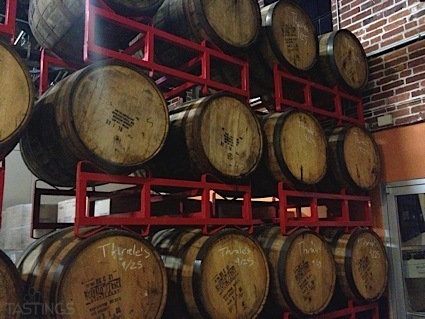 Bottom Line: A palate-pleasing traditional porter with a dry, chocolatey appeal. Porters are red-brown to black in color and range from 4.5-6.5% in alcohol. They are medium to full-bodied and characterized by a flavor profile that varies from subtle dark malts to fully-roasted, smoky flavors. Although porter was the drink of the masses in 1700s London, it is no longer a significant factor in the British market today. However, porters are increasingly popular in today’s US market and often display the influence of hops in richer craft-brewed examples. Noteworthy examples of this style include: Fuller’s London Porter, Samuel Smiths Taddy Porter, Meantime London Porter and Flossmoor Station Pullman Brown Ale. 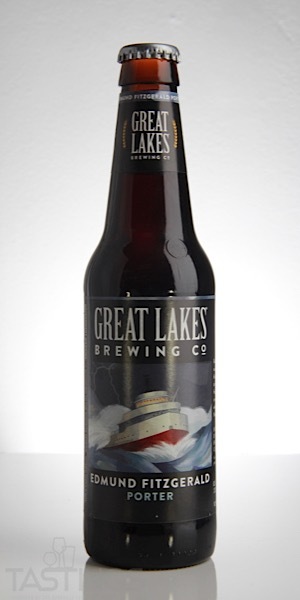 Great Lakes Brewing Co. Edmund Fitzgerald Porter rating was calculated by tastings.com to be 87 points out of 100 on 11/9/2018. Please note that MSRP may have changed since the date of our review.